Brüel & Kjær is known worldwide as a leading provider of solutions for measuring and managing the quality of sound and vibration. To celebrate 75 years in business and position the brand as being at the forefront of progress, senior management wanted to create a thought leadership campaign that would inspire and guide the future of product development. Together with Copenhagen Institute for Futures Studies, the ambitious Beyond Tomorrow project was born. 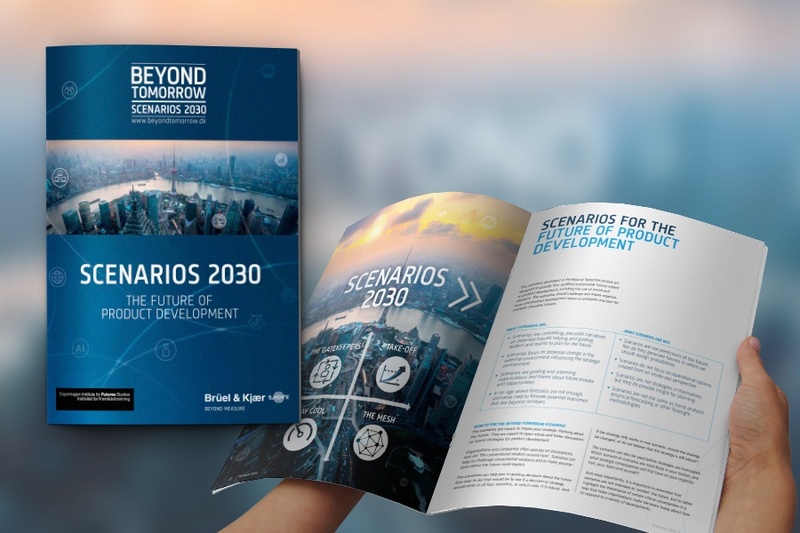 Beyond Tomorrow is a vision study project that used realistic scenarios to explore the future of product development and clarify what businesses believed would be vital to remain competitive. Working with visionary experts and selected organizations, the study investigated key trends and predictions for product development towards the year 2030. 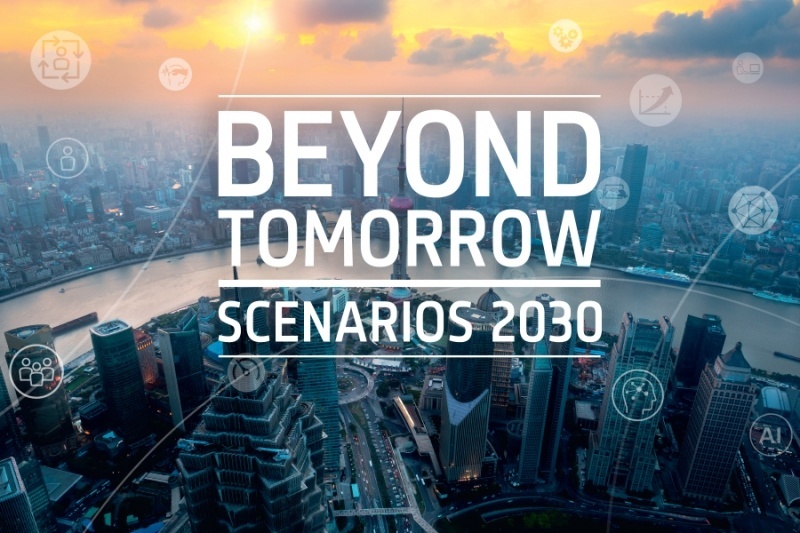 As well as a “megatrends” report that summarized the findings of the scenarios, the project culminated in an event at Brüel & Kjær’s headquarters in Copenhagen, where the results were discussed in depth by business leaders. The entire project needed a communications partner and platform that would give the project the strong identity, structure and clarity needed to open doors at management level and engage audiences with value-adding content. CBC rose to the challenge, developing the project theme and concept as well as acting as an integrated marketing resource at every stage. The big “Beyond Tomorrow” idea and graphical identity was designed to build awareness with C-level and top management audiences (through direct emails, social media and print media) and create engagement through key communications channels (activation of content in microsites, events, presentations, reports, articles, animations, etc.). CBC also structured and created Sales Kits to support sales in presenting the insights and working with customers to integrate the findings into their strategic planning. CBC also developed all marketing and materials needed for the event itself. The strategy and concept proved to have the desired effect. Brüel & Kjær was able to generate leads, get on the radar with top managers and create a wealth of valuable information that not only benefitted the organizations directly involved, but has gone on to inspire businesses in many different sectors. The results and findings of the vision study are still being used and exchanged worldwide. Being at the epicentre of the campaign, Brüel & Kjær continue to be seen as authoritative pioneers leading a crucial conversation that is heard across multiple industries. 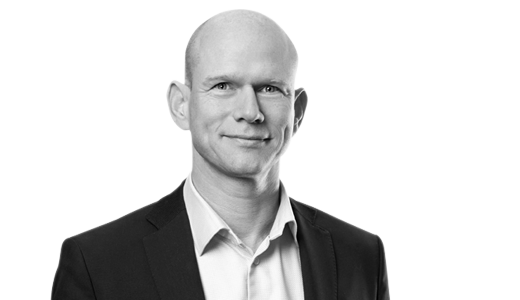 If you feel that thought leadership could be a way to elevate your brand and add new fuel to your content marketing activities, contact Ralph Krøyer at rk@cbc.dk or on +45 35 25 01 60. In your industry, tomorrow’s conversations are waiting to happen.